If you're a basketball coach who's serious about winning more games, then please give me your undivided attention for the next couple minutes. I'm about to share with you some simple, straightforward practice ideas that will IMMEDIATELY boost your team's defensive effectiveness. How to make defense FUN for your kids, so they put in the maximum effort, develop a defense-first mentality, and dominate your competition with superior effort! If any of that sounds good, then please make sure you read every word on this page. Having a team full of lockdown defenders is THE strongest (and most reliable) competitive advantage you could ever ask for. Because offensive performance comes and goes. Some games, it's like there's a lid on the basket, and your players can't make a shot from anywhere. That's why I'm so excited to introduce a brand new resource for youth and high school coaches. You Shut Down Your Opponents And Win More Games! You could go out and read EVERY source ever written on the best way to develop fundamental defensive skills, spend HOURS attending clinics and interviewing basketball experts. Download this simple drill collection that reveals the exact drills you should be using in practice to improve your team's defense in the fastest, easiest way possible! The Individual Defense Playbook is jam-packed with 14 all-new, stunningly effective drills that will have your players locking down their opponents with incredible skill and stunning intensity. And it's all explained with simple, step by step instructions and diagrams that ANY coach can understand. So you can learn this stuff today, and start using it at your very next practice! Full Court One on One: helps your players become master full court defenders, so they can cut off and turn dribblers at will, steer them to vulnerable spots, and force TONS of turnovers! Closeout Drill: teaches your players how to close out on the perimeter - hard AND under control. This is an ESSENTIAL skill for any defensive scheme. Zig Zag the Lane: an awesome conditioning drill that builds lower body endurance while improving footwork. Just 30 seconds of this will wear your players out! Half Court Competitive Zig Zag: a super-effective drill that improves your defensive speed and agility like nothing you've ever seen! Steer to the Sideline: keeping the ball away from the middle of the floor is probably THE most important concept for a successful defense - this drill will show you how! Lane Head Off: trains your defenders to turn the dribbler in tight spaces and control the direction of the offense. This drill is a "must-do" for any aggressive, trapping defense! Devoe One on One: A tenacious one on one defensive drill that works on defensive footwork, contesting shots, and defensive rebounding. My players LOVE this one. Marquette Agility Drill: use this one to inject some intensity into your practices and get your kids competitive juices flowing! It doesn't matter if your kids are short... tall... fast... slow... experienced... or inexperienced. In no time at all, you'll be dominating your league with a stunning defense that forces your opponents into bad decisions and low-percentage shots. And creates a boatload of turnovers every single game. 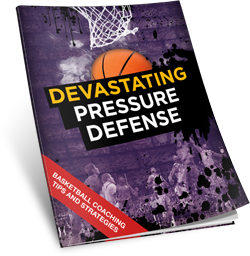 The Individual Defense Drillbook is an essential part of any serious coach's library, whether you're brand new to the game, or you've been coaching for years. The drills and concepts you'll learn WILL translate to more wins for your team, no matter what level you play at, or how much you're struggling on defense right now. All 14 of these drills are based on concepts and ideas from some of the most established and successful high school, college and pro coaches of all time. He accumulated a 200-56 record in nine years at UWSP and was a national and state Coach of the Year. Coached a total of 33 years at the collegiate and high school level, with winning records for 32 seasons. Stan Benge - former coach at the legendary Ben Davis High School in Indiana. Owns a career record of 519-126 (.820 winning pct) and the all-time Indiana state record for consecutive victories (81). Won the 2010 USA Today National Title, four Indiana State Titles, 11 Regional Titles and 22 Sectional Titles. Named the 2010 MaxPreps National Coach of the Year and the 2009 Naismith National Coach of the Year. Mike Krzyzewski - head coach at Duke University and one of the all-time NCAA coaching greats. Coach K has a career record of 983-306, with 4 national championships, 11 Final Fours, and 13 ACC Tournament championships. A 2001 inductee into the Basketball Hall of Fame, he's been named Naismith College Coach of the Year, NABC Coach of the Year, and and ACC Coach of the Year five times. The Individual Defense Drillbook is delivered to you in PDF format, so you can get instant digital access... right over your computer screen, smartphone, tablet, or eReader... from anywhere in the world with an Internet connection! I've pulled together in one simple collection every drill you'll need to develop top notch individual defensive fundamentals... and help your team understand the concepts and strategies to shut down opponents and win more games. This system is guaranteed to work with kids of all ages, from Bitty Ball through High School and beyond - no if's, and's or but's about it. It's just 14 pages. Short enough to read in one sitting. 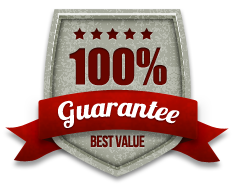 And to make sure you really hit the ground running, I'm also going throwing in two exclusive bonuses valued at $79.90! This report is so essential I'm practically giving it away because I want to make sure you take the simple steps to becoming a Individual Defense mastermind. 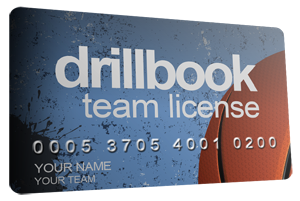 Click the Add to Cart button below to get instant access to the Individual Defense Drillbook Risk Free for just $7. YES, I want in! I want access to your "Individual Defense" drlllbook, plus the Team License and the Devastating Pressure Defense bonus report. Please give me INSTANT access to this step by step drill collection right now! There's no need to waste your time searching the web for unproven ideas, or spend hundreds of dollars on coaching clinics. 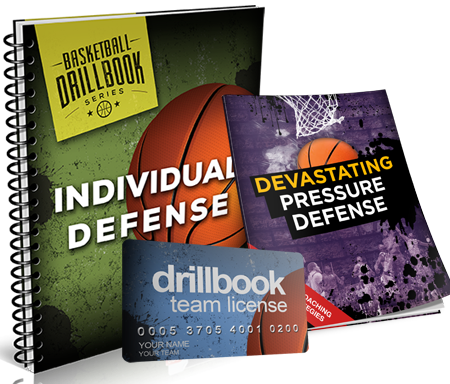 Just download the Individual Defense Drillbook and you'll get instant access to a complete drill collection you can start using today! 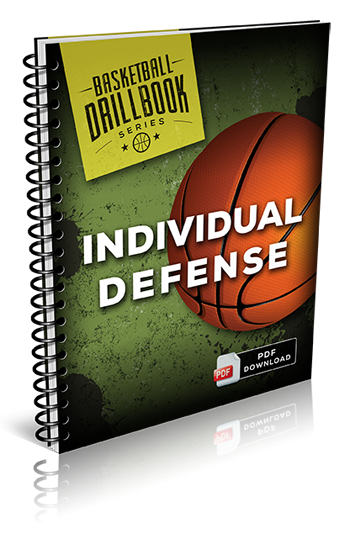 Individual Defense Drillbook now for just $7!